The IELTS band score tables below explain the scoring to will help you calculate and understand your score. All IELTS scores are between 0 and 9. You can also get .5 scores as well (for example, 6.5 or 7.5). You will get a band score for each skill (listening, reading, writing and speaking) and also an overview band score. The overall band score is the average score of all the skills. See the table below as an example. If your overall score is an average of 6.25, your score will be increased to 6.5. If your overall score is an average of 6.75, your score will be increased to 7. If your overall score is 6.1, your score will go down to 6. Your score is rounded up or down to the nearest 0.5 or whole score as shown above. 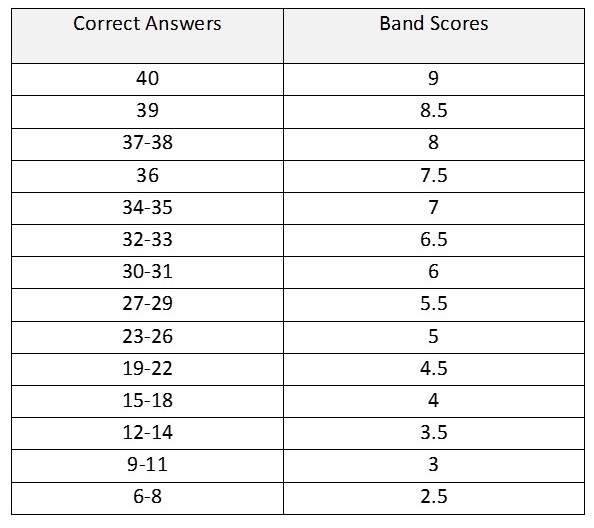 The table below gives a description of each band score with information about the level of English required for band scores 5 to 9. Click table to enlarge. To see all scores from 0-9, click here. Your listening and reading scores are calculated by the number of correct answers you have out of the 40 questions in the test. You do not lose points for incorrect answers. Both writing task 1 and task 2 are assessed using 4 criteria. Please see the table below for details of each marking criteria. Click table to enlarge. 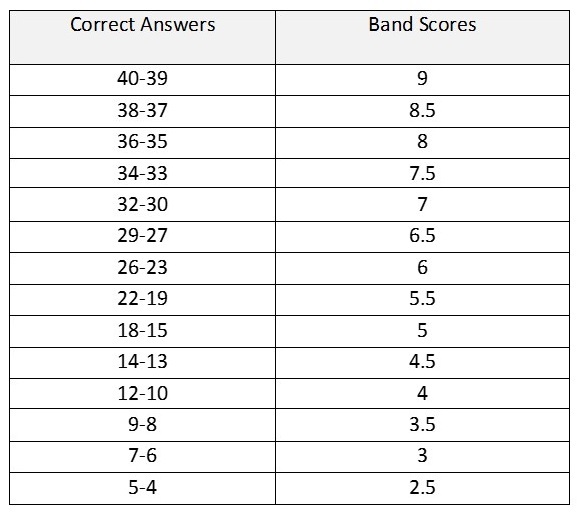 The band score descriptors below are the official band scores published by IELTS. 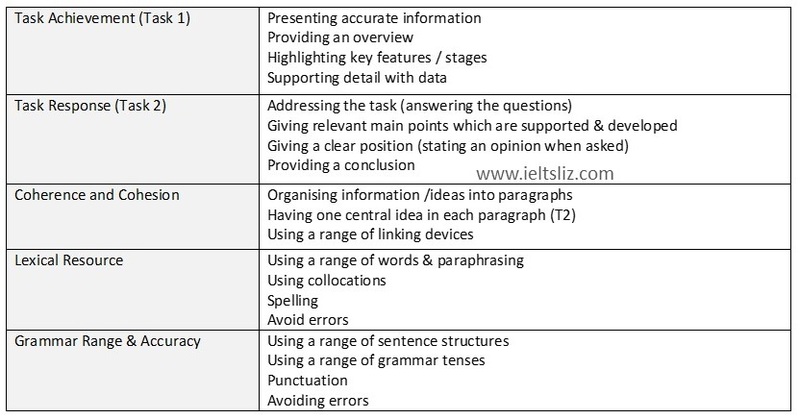 Below are the marking criteria for IELTS speaking. Click table to enlarge. You should also spend time studying the band scores for each criteria in the speaking descriptors published by IELTS.